Is Jim Ross and AEW a done deal? 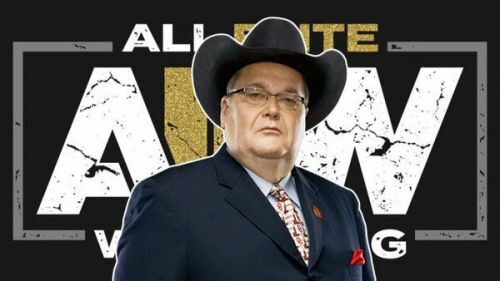 Jim Ross has confirmed talks are ongoing with AEW but there is no commitment from his end as of yet. A shoutout to Wrestling Edge for the heads up. Earlier this month, it was confirmed that Jim Ross was leaving WWE with his contract expiring on March 29, 2019. Jim Ross was the voice of WWE RAW for several years with the WWE. He is considered one of the best color commentators to ever set foot in the business. Good Ol' JR was with the WWE from 1994 to 2013. At one point, he was also the head of talent relations.Jim Ross was fired under controversial circumstances in 2013 which have not fully caroboted by either WWE or JR.
Jim Ross has been busy in the professional wrestling circuit working with New Japan Pro Wrestling (NJPW). He returned to the WWE in 2017 calling the main event at WrestleMania 33. Now, on March 2019, his contract will be expiring and he will not be renewing it either. For months, rumors were abudant that Jim Ross was signing a multi-million dollar deal with AEW, once his WWE contract expired. While that is not been confirmed, Jim Ross had this to say about AEW during an appearence on Outside The Lines. With signings like Kenny Omega and Chris Jericho, adding another WWE legend to the mix would be considered a huge win for AEW. As Jim Ross said, he has not signed at the dotted line. All eyes are on what happens on March 29th. Could Jim Ross be making an appearence on the YouTube show Being The Elite? Or will he show up at the AEW Double or Nothing PPV? Wait and see! AEW Rumors: Why are AEW copyright claiming CM Punk art?